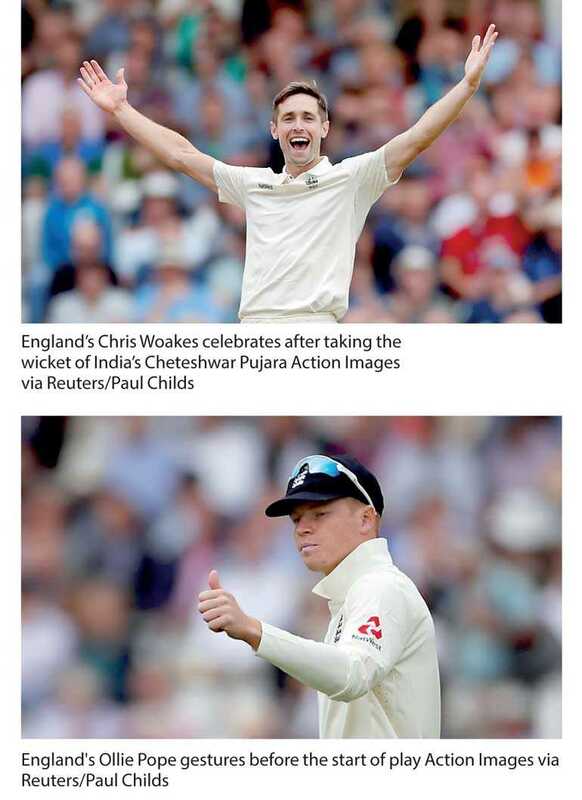 (Reuters) - England named all-rounder Chris Woakes and batsman Ollie Pope on Tuesday in their squad for the final test against India which will be Alastair Cook’s last international appearance. Pope was dropped from the side for the fourth test in favour of spin bowler Moeen Ali, who produced a match-winning performance to lead England to victory and an unassailable 3-1 lead in the series. Pope will play for Surrey in the first two days of their County Championship match at Essex before joining the England squad at The Oval for the test match which starts on Friday. Cook announced his retirement from international cricket on Monday and will play his 161st test, opening the batting with Keaton Jennings who was retained in the squad despite scoring only 130 runs in the series. Woakes missed the last test in Southampton due to injury. England squad: Joe Root (captain), Moeen Ali, James Anderson, Jonny Bairstow, Stuart Broad, Jos Buttler (wicketkeeper), Alastair Cook, Sam Curran, Keaton Jennings, Ollie Pope, Ben Stokes, Adil Rashid, Chris Woakes.